Phoenix P-12 Community College operates a Breakfast Club on both the primary and secondary campuses. The aim of the Breakfast Club program is to offer a healthy breakfast to students who may arrive at school hungry. The program provides children with a healthy, nutritious breakfast before they start the school day will allow them to ‘engage and participate fully in all the educational and social opportunities that the school years offer’ (Foodbank 2017). “The program aims to improve student learning and children’s engagement in the classroom, improve attendance and reinforce positive behaviour patterns, support the development of children’s social skills and improve academic outcomes.” Dr Fiona MacDonald (April 2017). The Ballarat Foundation/United Way, Hilltop Church and Ballarat South Rotary Club have each been financial contributors of either or both Breakfast Club programs over the past 20 years. Days: Monday, Wednesday and Friday. 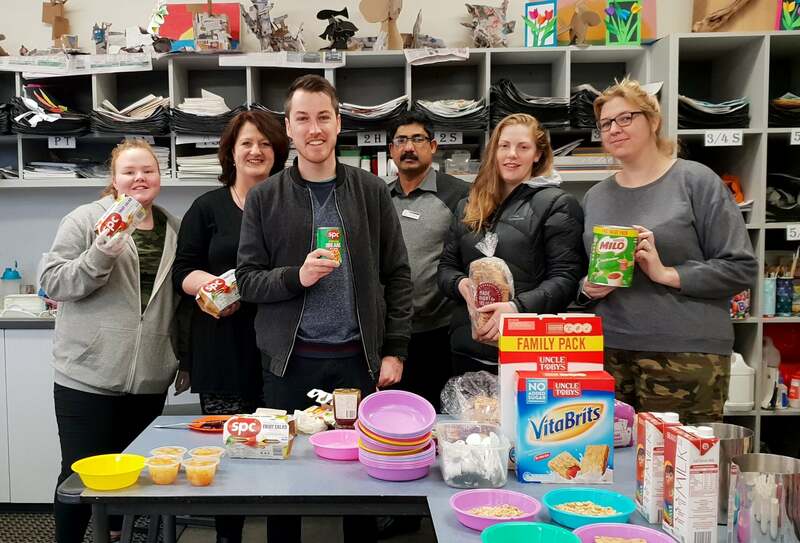 If you would like more information, please contact: Julie-Anne Firns (Redan Campus Breakfast Club Coordinator) or Nic Johnston (Sebastopol Campus Breakfast Club Coordinator).